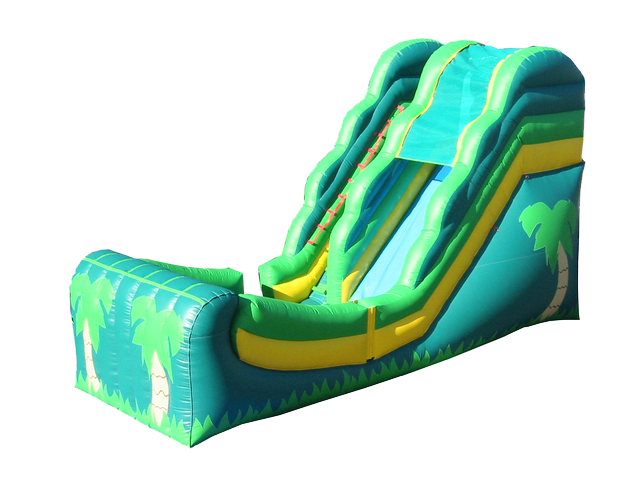 This 16 ft Tropical Wet or Dry Water Slide Design features a 16ft tall slide and landing zone with a curved stop wall. Entry is on side. This half-pipe inspired design gives the rider a new experience as they come to a gradual stop after sliding up the back wall.